August 28th, 2014 , under Games. 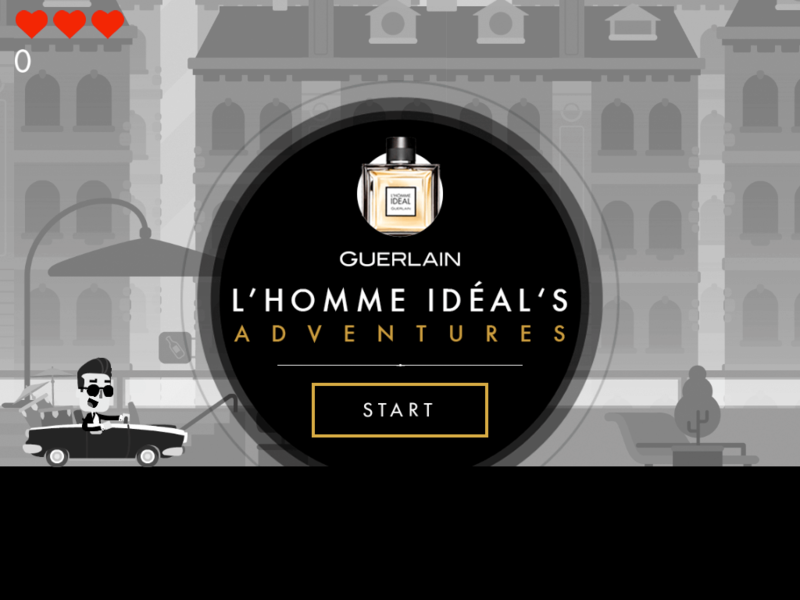 Quite proud of our latest MediaMonks game for Guerlain, a platformer game for mobile. Build using Haxe and the Flambe framework. 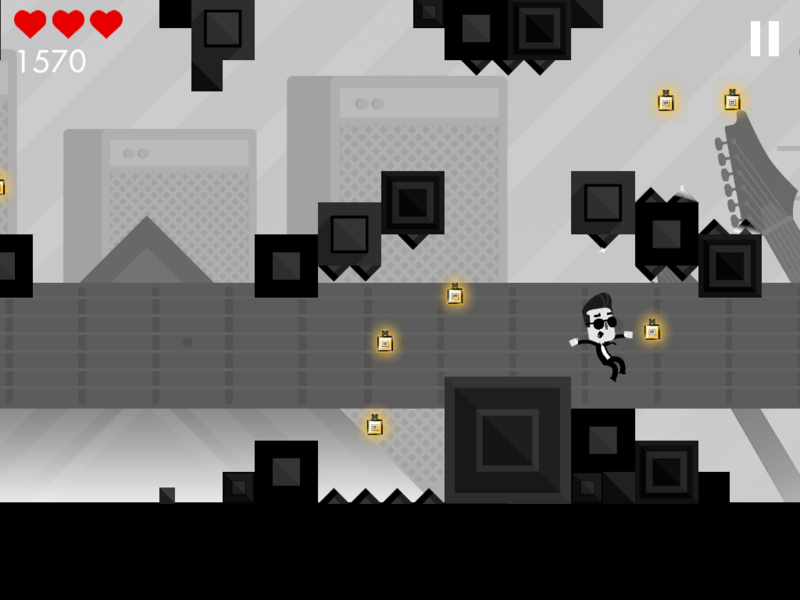 The goal of the game is to collect coins, avoid the obstacles but also to impress the girls, since you’re the ideal man. It was very fun to build this game, there were some interesting parts to work on. We decided to use small level parts, sort them by difficulty, and wire them randomly to each other. This allows to create some make it harder the further you walk. I created an own editor where the level designer could move and save the boxes while playing. This helped to create lots of nice and tested level parts in a relative small amount of time. I also created a camera system from scratch that allows me to zoom, follow a target, lock to certain area, give some offset. I can also control it’s speed to reach the target. 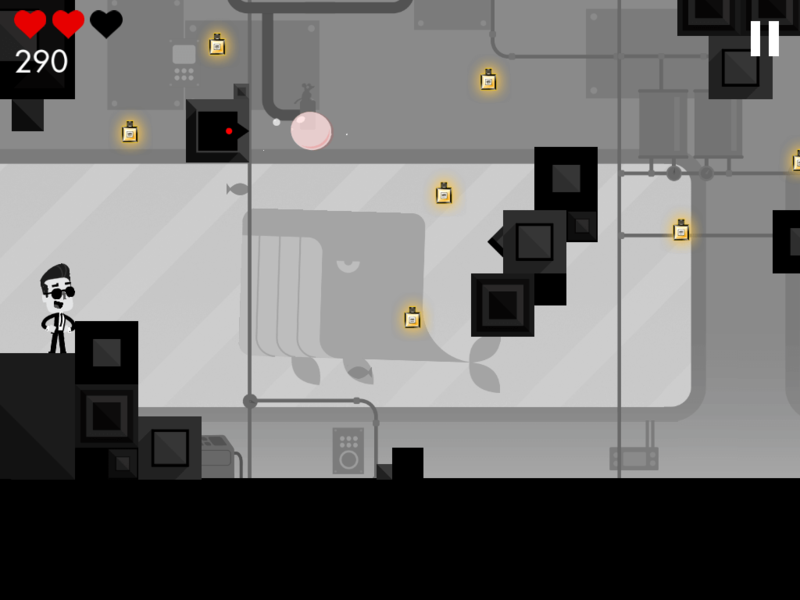 In the game the camera moves and stays on certain level part to give the player room to reach the end of that part, then slides to the next challenge. An interesting part was dealing with the amount of assets and spritesheets. All the animations are created in Adobe Flash, converted using Flump to a GPU-ready format, since Flambe uses Stage3D. The game is endless and the background slowly transitions to different themes, there was no room for in-between loading of new asset packs, all stuff should be loaded at start. I had to optimize every asset if possible, while keeping good quality. The game is free, I hope you enjoy playing it.